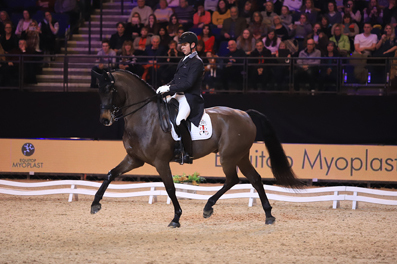 Olympic gold medallist Carl Hester has hailed Liverpool’s Echo Arena as a spectacular new venue for the sport of dressage. 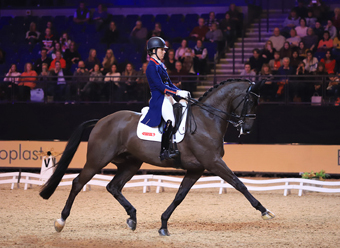 Carl and his fellow British dressage superstar Charlotte Dujardin lit up Friday night at the Liverpool International Horse Show, thrilling a near-capacity crowd in the Inter 1 freestyle to music class sponsored by Equitop Myoplast. 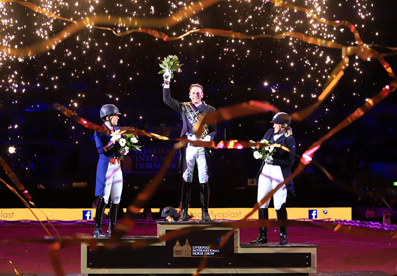 Both riders showcased two of their rising stars – Carl riding Hawtins Delicato to victory, and double Olympic champion Charlotte guiding En Vogue to second place – ahead of a busy 2018 that is highlighted by the World Equestrian Games in America. Last to go among a nine-strong entry, Carl showed exactly why Hawtins Delicato is rated as a potential Olympic horse of the future as they triumphed on a score of 80.43 per cent. It was enough to overhaul Charlotte’s 78.68 per cent performance, while Sarah Higgins finished third with Waldessarini on 73.75 per cent. 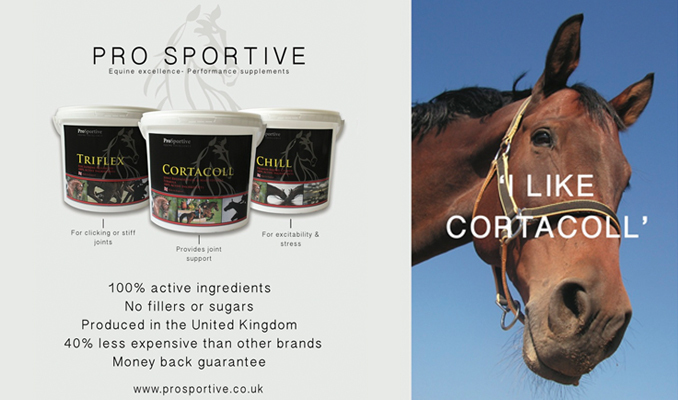 But the event was also another milestone for dressage being hosted in Great Britain, and Carl said: “It is an absolutely superb show. I had never even been to Liverpool, let alone the show. It’s such a spectacular place – the arena is incredible. And reflecting on Hawtins Delicato’s performance, he added: “It was the first time I had ridden him in a competition. I have been part of his life for four years, and for next year we are trying to qualify him for the World Games. Charlotte, whose multiple medal-winning horse Valegro retired last year, is developing an outstanding string of horses, with En Vogue just one of several she is developing. “I was absolutely delighted with the performance,” she said. “That was his first freestyle, and he has never been in an environment like that, ever. “I am very excited about 2018. I have got four up and coming grand prix horses that I am really excited about, and hopefully for the World Equestrian Games we can come back with some more medals.